What happens once you’ve successfully transitioned to prof.ITplus? Your dedicated Account Manager will visit you around four times a year, as standard, to discuss your use of prof.ITplus. They’ll be able to offer lots of ideas and tips on how to get the absolute best from the system. They make it their business to ensure you are happy with prof.ITplus and all associated services. We know a lot about the processes involved in running a business. If you demand excellency from your processes, we can set about a full Business Process Review to pinpoint further opportunities for enhancement and streamlining, using the various prof.ITplus modules. Access to our Software Support Team means you’re never more than a phone call or email away from expert help for issues as they arise. Timely, professional, helpful responses from our friendly team are as standard. Our team of Software Trainers are available long after the initial training sessions to get you ready for prof.ITplus as a new user. Training for new members of staff, refresher training, advanced training and bespoke training is all available. Our Software Developers are continually refining prof.ITplus in response to customer demand and developments in the way businesses operate. Every two months, a set of updates are rolled out to all customers, as part of your support agreement, which includes new and improved functionality and features. Naturally we like to keep in touch with our customer base and so we send out regular newsletters full of useful information about prof.ITplus and what’s going on at OGL Computer. As a responsible IT partner we also endeavour to let you know of any general technology issues that may arise – perhaps warnings of common security threats or hints and tips on how to keep your IT infrastructure safe and secure. Our highly experienced team will extract, reformat and transfer your business’s historic data into your new prof.ITplus system so you retain invaluable customer and product data. To run prof.ITplus at its optimum performance level you may need to update some aspects of your hardware or infrastructure. Our installations engineers will assess your current set-up and make recommendations, if required. Our Implementation Plan guides you through the process preparing for Go Live. It sets out exactly what to expect, and when. And it highlights a series of project milestones culminating in the launch of prof.ITplus at your business. One of our Training Consultants will be on hand at your site for Go Live. They’ll be there to answer all your questions in person and to reinforce everything taught in previous training sessions. New business software needs careful implementation so you start seeing the benefits right away. Soon after placing your order you’ll be introduced to your Project Leader who will be responsible for managing and coordinating your transition to prof.ITplus. Based on your business and your users, we’ll devise a training programme to ensure complete understanding and confidence for Go Live. 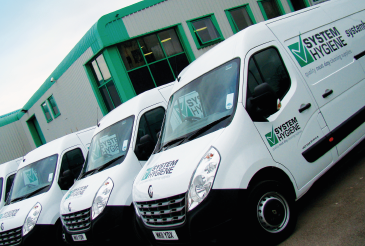 Our flexible approach means we’ll work around your needs and are happy to do the training at your site or at our training facilities in Worcestershire.